If you are looking to have radio interviews, a Radio PR campaign or your radio day broadcast from Cardiff then you've come to the right place. Through our 15 years of experience we have access to more than 3 ISDN audio studios in Cardiff meaning we'll always be able to accommodate your campaign and spokesperson. To discuss a radio PR campaign from Cardiff please get in contact or call 020 7158 0000. Studio 1 features a Pro Tools control surface built upon rock solid Pro Tools HDX system. Genelec near field monitoring and JBL Control 1's for TV backup. Large Monitor for client viewing. Loaded with pre-digitized - fully searchable sound effects system for instant sonic gratification. Comfortable control room area, with desk for working and vocal booth. Studio 2 also features a Pro Tools control surface built upon a rock solid Pro Tools HDX system. Comfortable control room area and vocal booth. Studio 3 features a Digidesign ICON ES console, Pro Tools HDX system and Genelec 5.1 surround sound system. 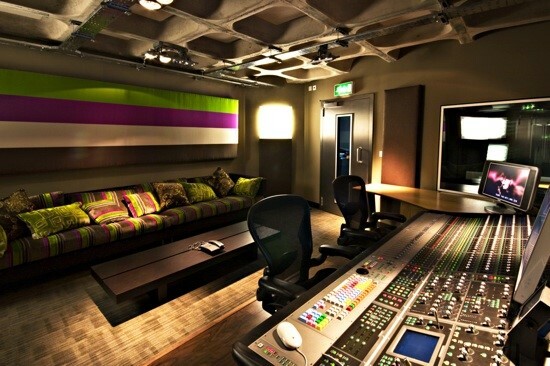 The large control room was designed for 5.1 surround mixing and has all the gizmos needed for High Def delivery formats. The large booth is a custom designed space built by IAC Acoustics, has multiple Mic sources and can accomodate up to 10 people. Location: Located in Cardiff City on Cardiff Road our South Wales studios are perfect for not only spokespeople that are based in Wales but also those in Bristol and the surrounding areas.